Our turnover has increased with almost 10 pct. but we manage the growth with the same number of employees, and at the same time, we have reduced overtime. Norway, Bulgaria and Thailand and are distributed via a global network of 37 foreign subsidiaries in 71 locations in 27 countries. 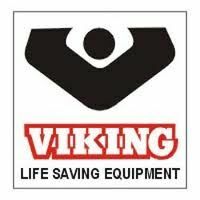 VIKING delivers safety equipment all over the world. Every week, the company ships evacuation systems, life rafts, life jackets, suits, spare parts and much more to its clients all over the world. 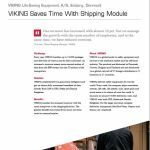 It amounts to around 19,000 deliveries a year, and VIKING uses both UPS, Fedex and Danish Freighters. For the larger and more complex deliveries, transporters like Blue Water, Neptun and Damco are employed. Before the company had to get all the information from the SAP system and eight employees in the shipping department entered the data manually into the transporters IT systems. Now the data transfer to UPS, Fedex and Danish Freighters is almost fully automated.